The arrival of a new baby is such an exciting time in your life. You waited 9 months to meet your child, and now they’re here! If this is your first child, you should prepare yourself for some significant changes in your schedule for a season. You should also expect to let some things go while you adjust to the new normal. Babies don’t sleep like adults, which present their own set of challenges for moms who are accustomed to sleeping 8 hours a night. Here are 4 top sleep tips for brand new moms. This old adage runs true, especially for new moms. Moms of just one newborn have the privilege of resting whenever the little one is napping, so take advantage of it. Babies need to eat every 1-3 hours, regardless of it being day or night. This means you’ll be up around the clock and will need to get rest when you can. Your body will need plenty of sleep to recover from delivery, so try to lay down when you’re tired and don’t expect too much of yourself at this stage. To make sure you get enough rest, don’t stress about meals or chores. Get friends and family to come over and help with the dishes, cooking meals, and baby-duty when you need to shower or nap. The more you focus just on yourself and the baby, the better you will rest. If you have nighttime help, have them take over a nocturnal feeding with formula or pumped breast milk. Getting a longer stretch of sleep at night will help you feel more human during the day. Since you’ll be sleeping at all hours of the day to make up for the loss of unbroken nighttime sleep, you’ll need to make your room conducive to good sleep at all times. Blocking out sunlight with room darkening shades will help you go to sleep more quickly. Noisemakers that emit soothing white noise like crashing waves or rainfall can help you unwind and tune out the sounds that circulate around the house during the day like garbage trucks, cars, and kids playing outside. If you’re not sleeping on a supportive mattress, your efforts to be well rested may be all for naught. After all, who feels refreshed after sleeping on a couch or on a 20-year old, sagging mattress? New moms like you deserve a high-quality organic mattress that will support your postpartum body to keep pressure off your aching joints and muscles. In fact, good sleep that supports your spine will help you recover more quickly from this exhausting postpartum stage of life. 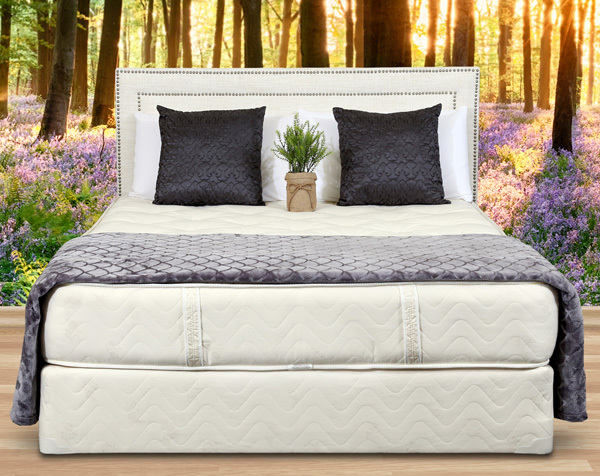 Gardner Mattresses are organic, handmade, and incredibly comfortable. You can even try one risk-free for 90 days. To get the best postpartum sleep possible, contact us today by calling 1-800-524-2736. Previous article	Does Stress Affect Your Sleep Cycle? Is Your Mattress Affecting Your Job?